TORONTO – Hotel X Toronto, the only hotel in Exhibition Place, is a unique lakefront urban resort featuring a mix of hospitality, sports and entertainment options, with stunning lake, city and sunset views in every direction. 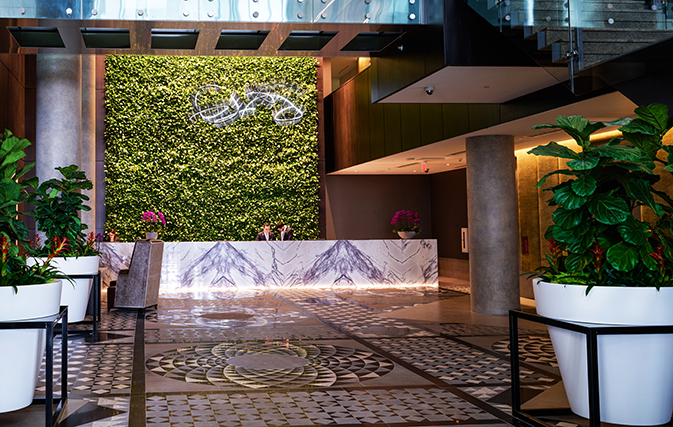 Located just inside the iconic Princes’ Gates, Hotel X Toronto is the perfect hotel for guests enjoying conferences or entertainment facilities in the area, as it’s located just a few minutes outside the downtown core and a stone’s throw from Billy Bishop Airport. The hotel is right next to the Beanfield Centre and Enercare Centre, which makes it ideal for business travel. But the nearby entertainment options are even more persuasive – the hotel is right across from Budweiser Stage, BMO Field and The Royal Winter Fair when it’s in town, and it also overlooks the Honda Indy Toronto. The property is divided into three buildings: the 30-storey Hotel Tower, TEN X TORONTO, and the historic Stanley Barracks. 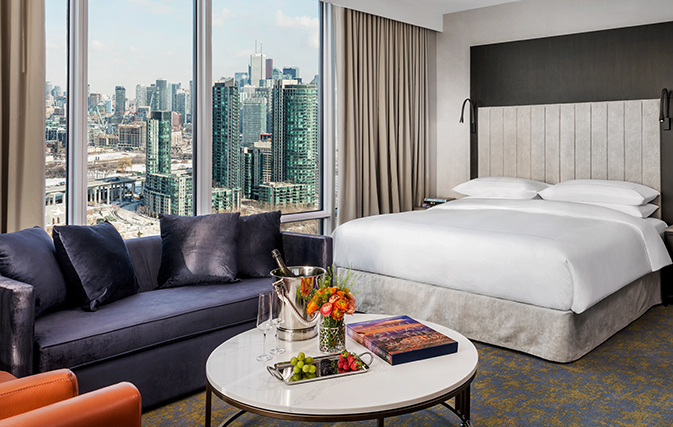 What makes this hotel special is the state-of-the-art adjoining sports facility that guests have access to, and TEN X Toronto, which is a 90,000-square-foot athletic facility and spa with a 25-metre, FINA-approved rooftop pool. Facilities include nine squash courts, four indoor tennis courts, a fitness centre, golf simulator, juice bar, four studios offering yoga, Pilates and more. Guests also have access to “the Pond” at Falcon SkyBar, a year-round, 50-foot heated swimming pool located on the 28th floor of the hotel tower. 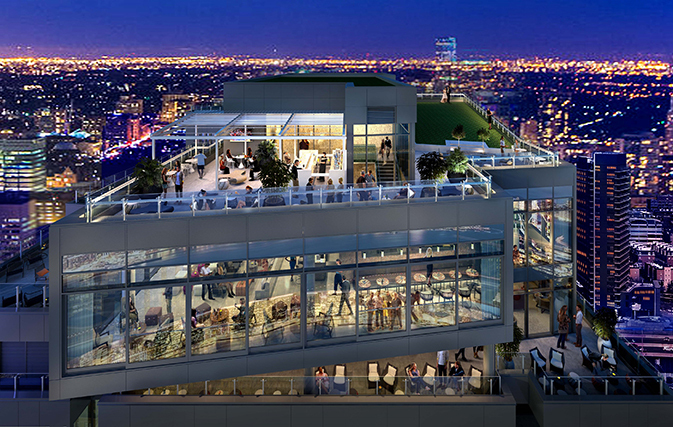 The 10,000 square-foot indoor/outdoor SkyBar on the top three floors offers guests breathtaking 360-degree views of Lake Ontario. As for dining, guests have a multitude of options at Hotel X Toronto, not all of which are currently open. The signature restaurant is Petros 82, a Mediterranean ‘estiatorio’ with a garden view, while Maxx’s Kitchen will serve classic favourites all day overlooking the lake upon opening. For casual dining, try The Beer Garden at Stanley Barracks. The most typical room, a Signature King, is a spacious 380 square feet, while over 100 rooms have two Queen beds. The hotel has over 400 guestrooms including 39 suites, nearly all with lake or city views. One Presidential Suite has two levels and features a living room and fireplace, and has the potential to add three bedrooms. The hotel also offers a plethora of meeting space and two cinema facilities. Art lovers will enjoy the 800 unique and specially curated works of art by Neil Dankoff who travelled around the world snapping stunning photographs, specifically for this hotel project. Hotel X Toronto was brought to Canada by Henry Kallan, President of the Library Hotel Collection. Kallan built the Library Hotel Collection brand based on his core principals of value, guest experience and the ideology of being genuinely kind. The veteran hotelier, who has a keen eye for architecture and design, brings his flair for quality and a unique sense of hospitality to his properties. 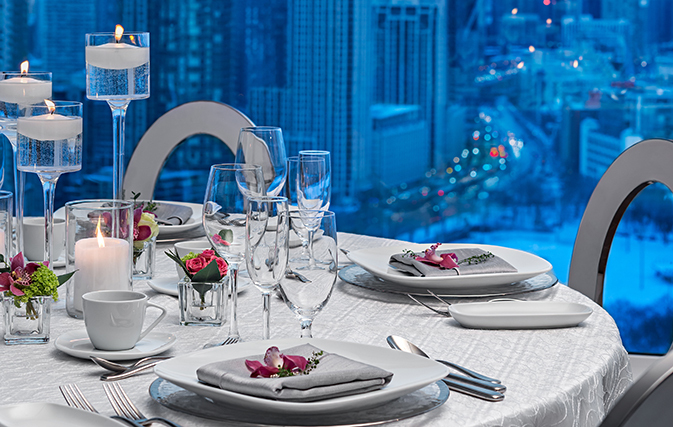 Other brand hotels include Hotel Elysee, Casablanca Hotel Giraffe and Library Hotel in New York City, and Aira Hotel in Prague and Aria Hotel in Budapest. Hotel X Toronto is his biggest development yet. For more information visit hotelxtoronto.com.